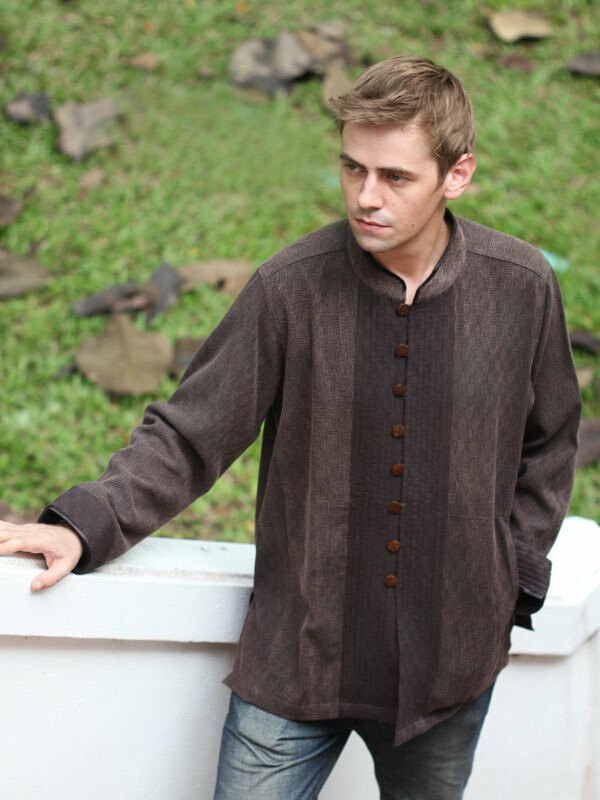 Classic mandarin style shirt with genuine coconut buttons and silk look trim; complete with two deep-slit side pockets and raised stitched front. 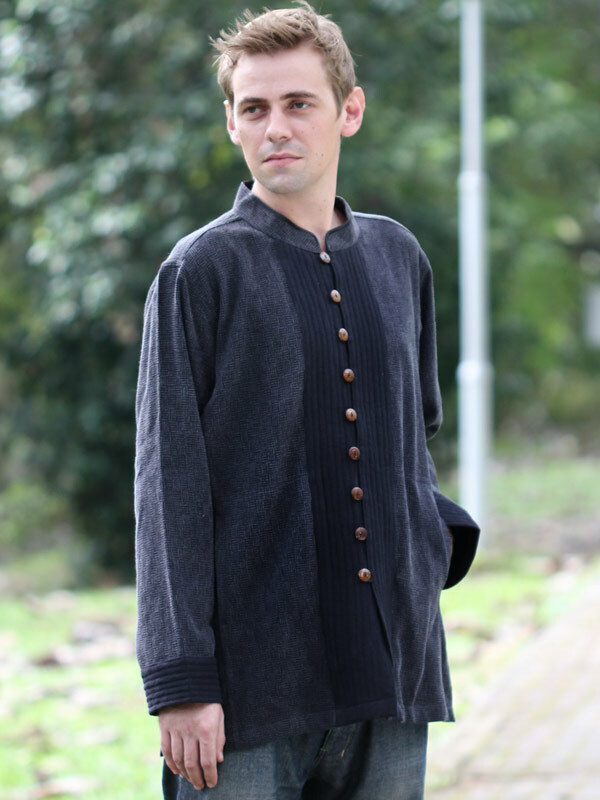 This shirt is practical and stylish, perfect for cutting down the chill while you're out setting trends. I bought this in black for my husband and he wears it constantly. It is smart looking can be worn dressy or casual and is extremely comfortable. I wash it and hang to dry. Am going to order one in brown for him for Christmas.